1. Is FCEUX the Emulator i should use? i have seen others as Nestopia ....... does it matter which one i want to use? which one is better? i do not want online play, just stand alone on my computer? 2. What controller should i purchase? Or can I use a adapter? The only thing i have home are the controllers from my Nintendo Retro System, and my PS3 controller. Can I use those with either Emulator? And if not can i just purchase a USB adapter to use with my retro NES controller? or do i need to buy a new USB controller... Please HELP!! 3. Are these Tecmo Superbowl Versions the ones that have rain and snow???? Any help to these questions, so I can start playing would be awesome. Thank you so much for your time and I hope to hear from you soon!!! Getting a PS3 wired controller to work on Windows 7 ect can be quite tricky. a USB retropad might be a better option if it's easier to setup. Nestopia / FCEUX are basically the same emulator. Go into the settings and try to get the keyboard functional first. You will have to assign keys to each of the buttons. Then once you are sure the emulator is working properly and you can start a game, try to get the controller working. My versions of the LIII rom don't have any weather options as of this time. Glad you enjoying the ride. I'm going to keep updating right through the draft so check back soon ! Hey! Thanks for commenting on my post! I still need help though! I hope you can help me. I downloaded your ROM (it looks awesome) and the Emulators you suggested but I am still having a problem with a USB Controller. I cant figure it out. and I have no clue what to buy ? Can you help me with that. At the present time , i have a PS3 Controller, and NES Retro Controllers. 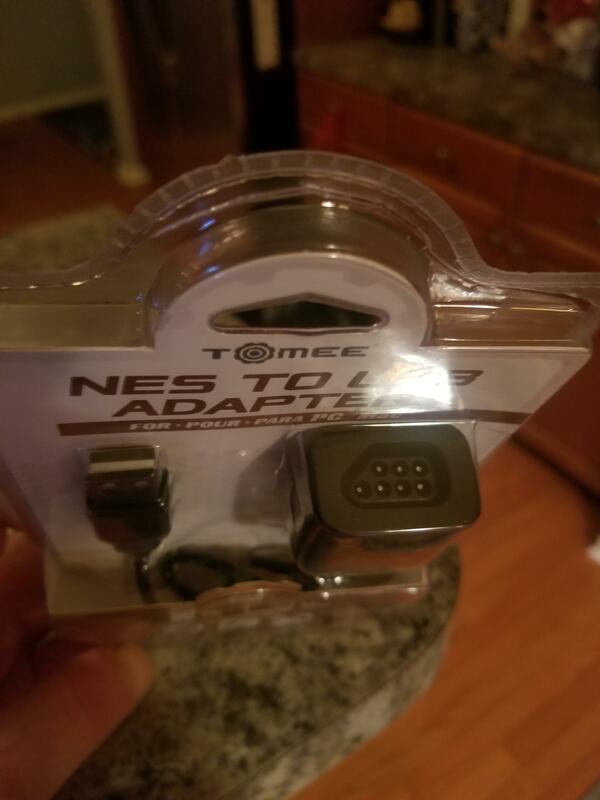 I recently purchased a NES to USB adapter, but when it came in I realized I dont have any controller that will fit in it. ( I attached pics of adapter I bought). What is my best and easiest way to get a controller. Can i use the PS3? Should i buy a Wii one? Do i buy a NES to USB controller??? I am confused on what to get. Looking very much to start using your ROM (thanks for always updating it btw) Any info will help me out!!! Hey! Thanks for commenting on my post! I still need help though! I hope you can help me. I downloaded your ROM (it looks awesome) and the Emulators you suggested but I am still having a problem with a USB Controller. I cant figure it out. and I have no clue what to buy ? Can you help me with that. At the present time , i have a PS3 Controller, and NES Retro Controllers. 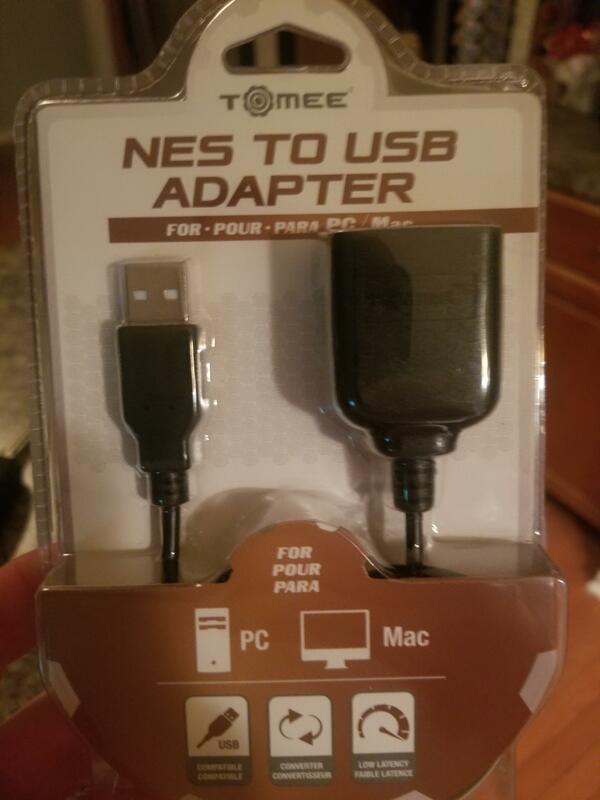 I recently purchased a NES to USB adapter, but when it came in I realized I dont have any controller that will fit in it. ﻿( I attached pics of adapter I bought). What is my best and easiest way to get a controlle﻿r. Can i use the PS3? Should i buy a Wii one? Do i buy a NES to USB controller??? I am confused on what to get. Looking very much to start using your ROM (thanks for always updating it btw) Any info will help me out!!! Realistically you can use any usb controller that a windows machine will recognize or any keyboard. I have a Logitech Dual Action USB controller. I plugged it in, but I still can't get it to work. Any help will be appreciated. Make sure you've gone into the actual emulator options and select 'gamepad' and assign keys / buttons to the actual emulator game controls. Not sure if this will help, but did you try running the TSB Tool in compatibility mode for Windows XP? No still on Windows 7. Let us know if you find a fix.